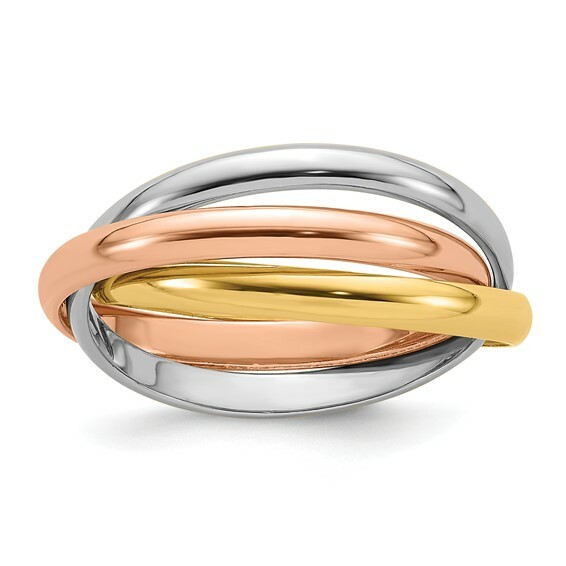 Hollow polished rolling rings are 14kt yellow, white and rose gold. Size 7 band weighs 6.03 grams. Standard fit. Made in the USA.